Heart, Science and Ingenuity: Re-framing the Sustainable Development Goals for collective impact | The Forum Network, hosted by the OECD: Shape ideas. Shape policy. Shape the Future. Marion Birnstill, Partnership Manager, Global Community Impact EMEA, Johnson & Johnson, explains the private sector’s role in healthcare for an interconnected world. The 17 Sustainable Development Goals (SDGs) and 169 targets provide the global development community with a common language to agree and set internationally-recognised, measurable goals for building resilient, stronger global systems for sustainable development. This global framework gives us all the means to work towards a clear roadmap and make the giant leap towards a world where a healthy mind, body, and environment is within reach for everyone, everywhere. And it is broad: from reducing premature mortality from non-communicable diseases by one-third, to making Universal Health Coverage a reality and boosting the recruitment, development, training and retention of the health workforce in low-income countries to foster stronger primary care health systems. And while the SDGs have very concrete and measurable targets, we can make them even more effective by learning the lessons of the past. This means moving away from a process-driven approach towards one focused on systemic change and collective impact; addressing the SDGs should also translate into stronger systems. 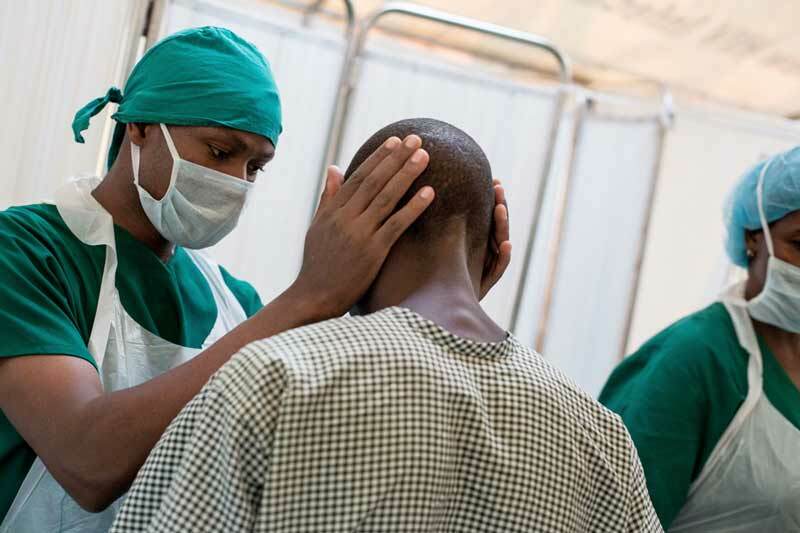 For example, if we look at the health workforce in East Africa, specialised nurses’ training is an essential need but emigration prevents sustainable outcomes because of a diminished workforce. This means that collectively – governments, NGOs, the private sector and multilateral institutions such as the OECD – we need to be bolder and more ambitious to achieve transformational change. Often this means working across thematic areas and not in siloed processes, focused only on a specific SDGs or sub-section of the SDGs that do not take into account the interconnectedness of the challenges in front of us. The SDGs cannot be achieved in isolation. Take for example primary care, which touches on infrastructure and the capacity of health workers, raising complex questions around Universal Health Coverage. It is about priorities: at Johnson & Johnson, we have made commitments to SDG 3 (health), 5 (gender equality) and 17 (partnerships) by prioritising support for the health workforce, women and children, essential surgery and tackling global disease challenges. But we are also looking more closely at the interconnectedness of these issues and how supporting the workforce translates to better quality healthcare. Johnson & Johnson has a legacy of combining compassion, science and ingenuity to solve some of the world’s greatest health challenges. At Johnson & Johnson we make major contributions to people’s health through our 250 operating companies in 60 countries. We are working to solve complex global health challenges – like helping to ensure every child is born HIV-free – by harnessing resources and expertise from across our company to combine research and development, access to care and advocacy. Our Global Community Impact initiatives invest in people on the front line of care as they change the trajectory of health for the world’s most vulnerable population, their families and communities. Our Global Public Health Organisation is redefining what it means to do business in low-resource settings and seeks out unconventional partnerships to accelerate the pace of innovation needed to broaden our reach and deepen our impact for those in need. In 2016 we marked a decade of Johnson & Johnson’s partnership with mothers2mothers, striving to eliminate mother-to-child transmission of HIV during pregnancy, childbirth and breastfeeding by providing education and support to local mothers living with HIV in sub-Saharan Africa. The work of mothers2mothers over the past 10 years has reached 1.3 million HIV-positive women in nine countries. Only 2.1% of women in their programmes transmitted HIV to their children, a programmatic success that the Joint United Nations Programme on HIV/AIDS (UNAIDS) equates to virtual elimination of paediatric HIV. Collective impact is also about pushing for qualitative interventions and going beyond financial support with our partners, leveraging investments in knowledge transfer, leadership and innovation that could have higher returns than isolated approaches. 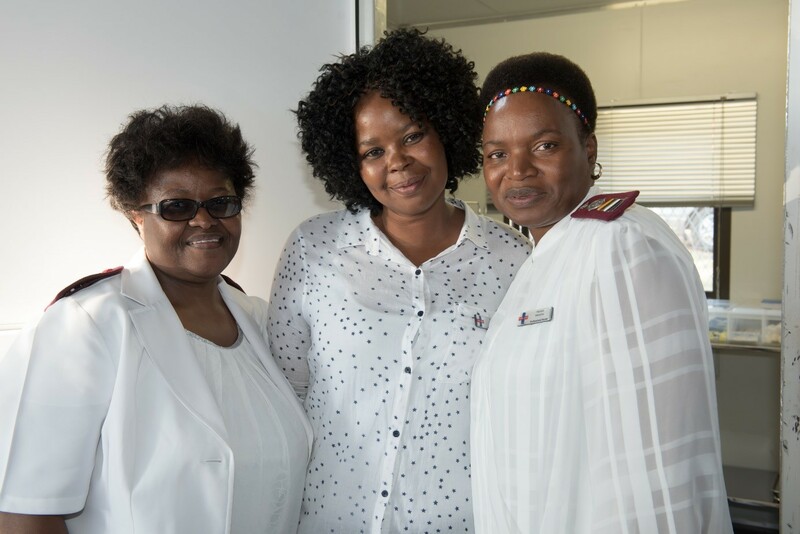 For this reason, J&J is committed to investing in the development of strong and innovative leadership, management and innovation capacities for hospital managers, doctors, nurses and health ministry civil servants. The entire healthcare ecosystem needs to be led by those who are ready and able to be the change-makers, now and in future generations. These are the people who drive the greatest transformation and show us that we really can achieve more than we ever thought was possible. There is a growing recognition that fostering and nurturing the pipeline of local innovators and leaders across the African continent will help strengthen the capacity of health systems, boost the quality, quantity and access to health services for underserved populations and help countries achieve their national health priorities. Johnson & Johnson is collaborating with INSEAD Business School to offer the Strategic Innovation for Community Health programme, taking place in Nairobi, Kenya. Our belief is that it is essential to invest today in increasing the leadership and innovation capacity of the health leaders of tomorrow, as they will play an instrumental role in rethinking and transforming primary care systems in the years to come. The programme is designed for individuals from public or private sectors and non-governmental organisations (NGOs) who strive to develop new models of care in a community setting. Since 2005, we have also partnered with the management faculty from the UCLA Anderson School of Management and leaders of the African Medical and Research Foundation (AMREF) to design and launch the Management Development Institute (MDI). 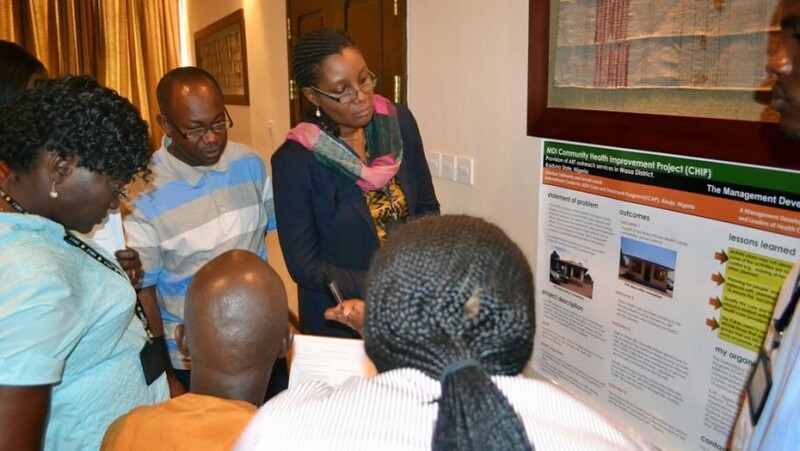 With subsequent programmes implemented across Kenya, Ghana, South Africa, Senegal, Cameroon, Ivory Coast and Mozambique, around 1,500 leaders and managers have been trained within national Ministries of Health and other organisations devoted to delivering health care services to underserved populations. This demonstrates the role that the private sector can play in testing innovation and new models of care, as well as providing evidence of their impact so other institutions can invest and potentially scale-up proven models. It is clear that we must prioritise and be more selective to achieve impact and deliver on the SDGs. This does not mean approaching each priority in isolation but rather looking at how we can work on key themes to achieve collective impact: building systemic change for a world where a healthy mind, body and environment is within reach for everyone, everywhere.